Simplified mobile applications development services – Custom, Native or hybrid iOS, Android, and Windows Mobile Apps. Grow your brand with effective mobile application development services in all major mobile technology platforms that adapts with any complex business model.AES Technologies India Private Limited is an ISO 9001-2008 certified company expertise in offering custom mobile applications for clients from start-ups to large enterprises. We provide applications for iPhone, iPad, and Android devices through native/hybrid mobile application development process. Backed by a team of technically sound mobile developers, we thrive to offer niche-specific mobile apps that add business value. Our iOS app developers have mastered the skill of developing novel applications for wide industrial verticals including retail, e-commerce, healthcare and commercial industries. 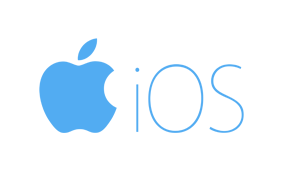 We boast our talents in developing robust iOS applications that work flawlessly in iPhone, iPad, and iPod devices. At AES, we take up the challenging requirements and thrive on to provide the successful iOS applications that meet your expectations. What set us apart from the competitors is our potential in delivering quality products that our clients are proud of. 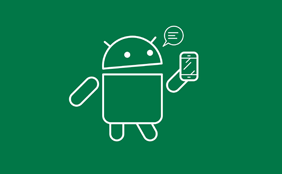 Our Android developers leverage the development tools to build a comprehensive application that comprises of all modules required for your business process. We are expertise in delivering applications in all latest and older versions of Android. With our customer-centric approach, we assist you in providing customized mobile applications in Android or iOS platforms that offer an attractive UI with effective features catered for your unique business requirements. 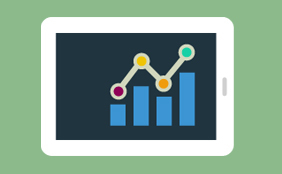 We develop the mobile applications for our clients in their niche area that help them in gaining more revenue. By leveraging the Windows mobile app developer tools, AES offers the wide range of Windows applications for diverse business domains. 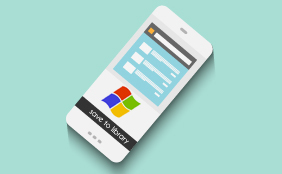 With our knowledge and skill adoption of windows mobile SDK, we build the interactive and user-friendly application for windows 8 mobile phone. We build a feature-rich application through an agile development process that offers end to end options or features needed to automate your business process. Our developers support you in the continuous improvement of your mobile application by updating new modules or upgrading to new technology and in customizing your existing mobile application. We also provide tailor-made mobile applications in iPhone, iPad, Android and Microsoft devices based on your unique requirements. Our technically sound mobile application developers harness the latest technology tools to offer exceptional working application at a reduced time to market. With 18+ years of experience, AES have talented mobile developers expertise in building finest mobile applications with excellent UI for Android and iOS devices. Our quality assurance team supports in every stage of mobile app development and ensure that every application we deliver is free from bugs.